News Repel Mosquitoes Naturally with These Plants! Repel Mosquitoes Naturally with These Plants! Spring has arrived in Atlanta, and the temperatures are slowly creeping up! We are all enjoying the warmer weather and longer days, and all the outside activities that come along with this time of year. However, as summer approaches, one thing none of us are looking forward to are mosquitoes! Particularly if your yard includes a pool or water feature such as a pond or stream, you know that in the warmer months, these annoying insects can make lounging outdoors almost unbearable. Luckily there are several plants and flowers that act as natural mosquito repellants. Read on and see what you can plant now to protect you from the bites later! 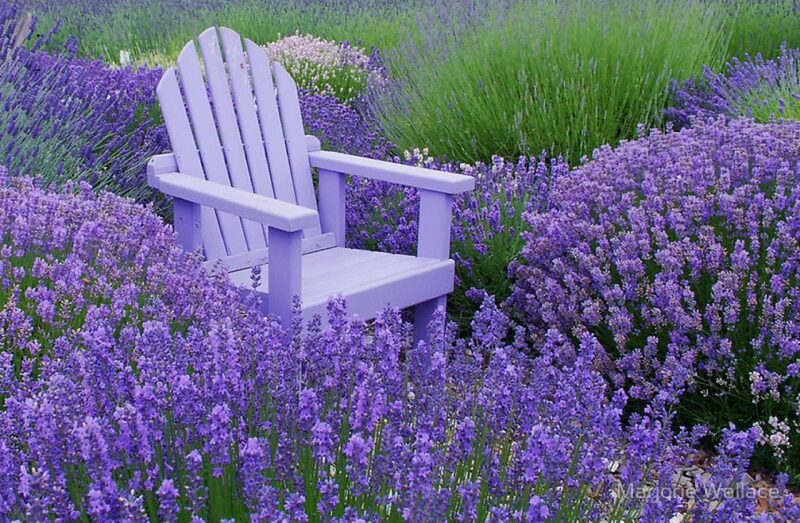 As much as people tend to love the scent of lavender flowers, it appears mosquitoes (and flies) hate it! Some experts believe it hinders their ability to smell, leading them to avoid it. Specifically look for the lavandin variety, which has a high concentration of camphor. And lucky for us, lavender thrives in the hot Georgia climate, and is very tough and drought-resistant. This plant’s scent is unpleasant to many outdoor pests, from mosquitoes to ants and even mice. And, if you do get bit, quickly rubbing a peppermint leaf on the bite will neutralize the itch and act as natural pain relief. Peppermint is a fast-grower though and can easily invade your garden. Keep it contained in individual pots that can be placed near your garden, or around your outdoor gathering places. Marigolds contain pyrethrum, an ingredient found in many insect repellents. The flowers also have a unique aroma that is known to repel mosquitoes, along with other insects such as tomato hornworms, squash bugs, and Mexican bean beetles. Mixing marigolds in with other plants throughout your garden, and especially among your tomatoes, will maximize this benefit, while adding a pop of vibrant color. The benefits of lemon balm are twofold! The plant both keeps mosquitoes away from your garden, while also attracting beneficial insects, like bees and butterflies. You can even take the benefits with you, by squeezing a few lemon balm leaves and applying the oil to your body. Lemon balm is both hardy and drought-resistant, but can be a bit invasive, so keep an eye on its progress in your garden. There are multiple varieties of geranium that act as natural insect repellents, with scents that range from citrusy to minty. In fact, there is even a variety called citronella geranium, which is excellent at keeping mosquitoes at bay. Use in hanging baskets around your porch, or planted in containers on your back deck. Geraniums thrive in warm weather and need very little water to produce their colorful flowers. These fuzzy beauties contain a chemical called coumarin that is used in many retail mosquito repellants. Floss flowers come in blue, pink, white and purple and make a beautiful addition to any flower garden, or can be used as an edger around a vegetable or herb garden. They also are known to attract butterflies, bees and hummingbirds. Ready on for more backyard tips!